Here is the quick list of the top four dating sites in Malaysia. I’ll go into more detail in my reviews later in this article. Malaysia is a predominately Muslim country. In fact, over 60% of the population practices Islam. Because of this, don’t go to Malaysia expecting it to be the wide open dating scene you will find in other southeast Asian countries like Thailand or even the Philippines. 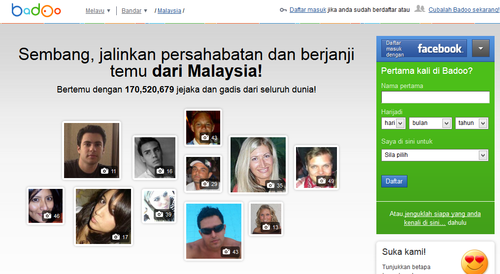 With that said, Malaysia has a relatively small but functioning online dating scene. There are a few good sites from which to choose where you can find Malaysian men/women who are open to meeting women/men from the West. The best online dating sites in Malaysia have a user-friendly interface and a large enough membership base to make it worthwhile to sign up for a paid membership. Having traveled to this part of the world, I can tell you that Malaysian women are beautiful. If you work hard enough, you can find some real stunners. When you sign up for one of these dating sites that I mention below, you will get a glimpse of what I am talking about (i.e. Malaysian women look even better in person). For the best results, try to get your online dating game going in a city with a decent-sized population like Kuala Lumpur. As I mention in my online dating e-book, should you decide to sign up for the online dating sites I recommend below, be sure to read member profiles carefully as you might come across a lot of fake profiles. Usually, I can spot these profiles pretty easily. A woman who has only one picture posted, is wearing a tight bikini, and making an overly suggestive pose are usually clear signals to steer clear. Another clue of a pretender is a woman who has a poorly written profile. As a general rule of thumb, the more boring the profile, the more boring the person. Without further ado, here are my detailed reviews of the top four dating sites in Malaysia. MalaysianCupid is expertly designed with polished finishes and fun features. I have made particular use of the translator app, which allows you to communicate freely across any language barrier. The website is available in both English and Malay, but most of the users post in Malay. Additionally, the matching capabilities are impressive, and I have been pleased by the growing number of matches provided by the website every time I log in. If you are a western male or female, you will need to rely heavily on MalaysianCupid as well as the site I will discuss below. As mentioned in the intro, because Malaysia is a predominately Muslim country, you can’t exactly go to a bar to meet people to date. 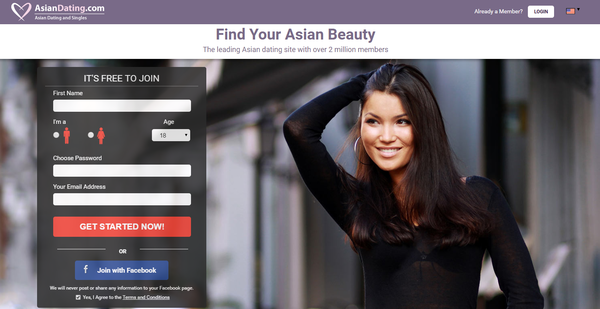 These sites are geared towards Malaysians looking to date people from the western world. The sheer number of potential matches that makes MalaysianCupid my favorite choice for an online dating service. MalaysianCupid is easy to join. Users simply need to submit their name and gender before providing an email address and password. Once users have an account, they can create a small profile. This includes a personal description and an overview of your ideal partner. Once you have a profile, you are free to start looking for your perfect match. Users can fill out a more extensive profile to expedite the search process, or you can start browsing your potential matches right away. The website will prompt you to complete the profile from time to time in order to provide the best matches possible. MalaysianCupid provides a list of potential matches based on your profile. Because there are usually many matches provided, you can sort them by categories such as Newest Members, Last Active or Relevant. Matches can be viewed by picture alone, but they can also be viewed with basic information or complete profiles. You can further refine your search with other indicators such as age, body type or location. If you have a free account, your messaging options are limited. Basic users can use the “sending interest” feature. If the match responds, they can send a message in reply, but these messages are not accessible unless you become a paying member. There are various membership tiers, and both Gold and Platinum members have access to better communication features like instant messaging, video chat, and more. MalaysianCupid has exceptional anti-spam features. When I joined the website, I provided as little information as possible. This caused my account to be suspended while the company conducted a background check. I was able to sort this out by contacting the company, but the experience proves that MalaysianCupid is committed to keeping its users safe in the online dating world. AsianDating.com is the second best dating site in Malaysia and is the one where you should spend 95% of your time. The site is part of the Cupid Media network (like MalaysianCupid.com above) and has over 1 million registered members to browse through to find your perfect match. There are two options when it comes to membership for this site. You can get a free account or a premium account. However, if you chose to remain a free member, there isn’t much you can do to find your date as communication options are limited. This site makes signing up incredibly easy. In fact, you can get your profile up and running in about 2 minutes and not have to pay a dime. Like all dating sites, you will need a name, email account and password in order to register. There is also the option of signing in with your Facebook account. After that, add a bit of information about yourself, who you are looking for, and what traits your partner should have. You don’t want to end up with a biker woman if you like to bird watch. Your profile may not be 100% complete at this point, but you can begin searching for matches. Every so often, like Facebook, you will be reminded to add more information, but you don’t need to do that right off the bat. There are two distinct ways for you to find someone with this site. You can take the traditional route and browse through the many different profiles, or you can narrow down the competition by searching for unique qualities you want your partner to have. Like all dating sites, it is best to take your time and read through the person’s profile to make sure you are compatible with one another before sending a wink. And don’t forget to save your favorites. In order to communicate, you have the option of upgrading your membership to either Gold or Platinum. If you are serious about truly finding someone, the cost is worth it. You can’t chat with anyone until you upgrade your account. After you upgrade, you have full access to chatting, messaging and eventually Skype. 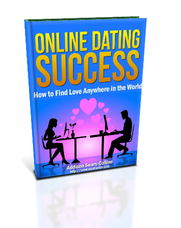 The goal of any dating site is to meet and interact with people. Having a free membership doesn’t do much good since you can’t break the ice and talk with other members who eventually could lead to a date out on the town. While it is important to understand what your partner is saying, this site understands and has a unique feature that translates your text with the click of a button. Although it may not help during one-on-one chat sessions, this feature helps to break down the language barriers and gets the ball rolling for potential matches. 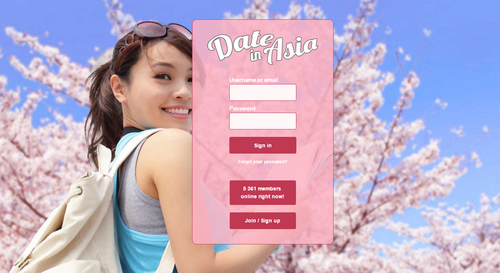 DateinAsia.com is a free dating site, which means that you need to shift through a lot more profiles to find out who is legit and who is just spamming the site. The site is pretty basic with not many bells and whistles like some of the other dating sites out there. Bottom line: use this site as a last resort option for Malaysia. Begin by entering all relevant information like your name, email, and a password. From there, you add what you are looking for and a bit of information about yourself that others will find appealing. For some reason, this site requires your phone number and will send you a code to activate your account. You can opt to skip this step, but your account will be deleted within seven days, and you will have to start over. Like most dating sites, you should upload an image of yourself to gain more views of potential matches. But, like stated before, this site is pretty cut and dry, and there isn’t much to it. Add a bit about yourself in a short blurb, and you’re done. Because this site is so simple to navigate, you are limited in the ways you can search for people. You can filter your possible matches by age, gender, and location, or you can do an advanced search and narrow the profiles down by their occupation and appearance. There are no controls on who can message you or who you can message back. Everyone is equal on this site since it is free. Don’t forget to check out the random profiles at the top of the page and scroll through them. You can send a message to a member that piques your interest. Also, if you do check out a profile, that person will be notified, and, in return, they can check you out. For some, this is a way to break the ice when communicating. This site is so basic that there are no interesting features to it: sign up, fill in the blanks, and start meeting people. The fact that membership is free does draw attention to those trying to meet someone but remember to be careful what information you provide as this site does have some shady people on it, just like other online dating sites. A massive worldwide online dating site launched in 2006, Badoo is a third option if you are looking to date someone in Malaysia. You will have to weed through a lot of frogs on this site though before you find your prince or princess. Because of my issues with the quality of profiles on Badoo, I would not focus on it as a starting point for my dating search. Badoo works on the “freemium” model, which means that it is free to sign up, but you have to pay for upgraded features. The site operates in over 180 countries.